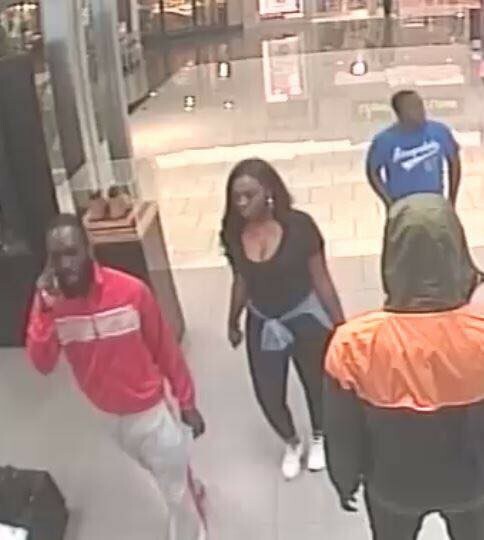 Police say two suspects pictured in surveillance photos were recently involved in an incident at Foot Locker inside the Cherry Hill Mall. Cherry Hill Police are asking for the community’s help as they try to identify two suspects in an ongoing investigation. Surveillance photos of the suspects were posted to the police department’s Facebook page on Monday evening. The suspects are said to have been involved in an incident at the Foot Locker store inside the Cherry Hill Mall. A female suspect is pictured wearing a black shirt and pants, while a male suspect is wearing a blue shirt with black pants. In the above photo, the suspects are seen walking together in the mall.